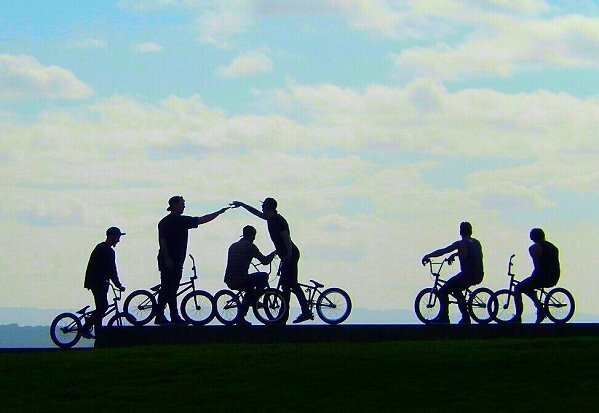 Get the kids off the couch and into the fresh air and sunshine of the outdoors. There is a great selection of playgrounds around The Entrance to suit all ages. Most have BBQ facilities, picnic tables, toilets and parking nearby. Vera’s Watergarden – this colourful splash pool is found on The Entrance waterfront, just behind the Pelican feeding area. A favourite for families, as Mum and Dad can enjoy a coffee or a meal whilst watching the kids play. If the weather is too cold or wet there is a newly renovated playground adjacent to the splash pool. The historic carousel also runs on weekends and during busy holiday periods – always a family favourite! The Entrance playground situated behind the visitor centre offers a safe, enclosed playground for the littlies. The adjacent Memorial Park gives space for the older kids to kick a ball, fly a kite or enjoy a picnic on the grass. On weekends the ‘Pelican Express’ – a little train runs the circuit around Memorial Park. 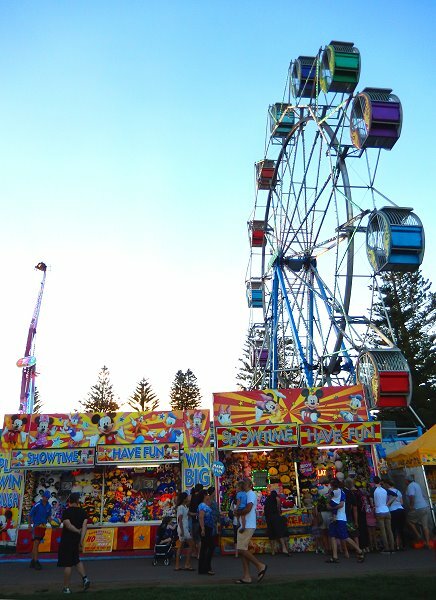 For older kids there is a sideshow alley with show bags, games and fairground rides. BBQs, picnic tables, toilets and parking are also available. Picnic Point Reserve on the corner of The Entrance Rd and Tuggerah Pde has an amazing view of the lake and hinterland. With lots of shady trees, green grass, picnic tables, BBQs and toilets it is the perfect spot for a family day out. The younger kids will enjoy the playground and climbing frame. The older kids will love the skate park and bike track. There is also a boat ramp, wooden jetty and fish cleaning sink for the fishing enthusiasts. Ample parking for cars and trailers is available. Long Jetty has a couple of playgrounds and parks set on the beautiful Tuggerah Lake. The Long Jetty foreshore is the ideal spot for a family picnic or just to watch the sun go down. With the huge jetty to walk along, the picnic tables, toilets, BBQ and playground further south, it appeals to all ages. The Saltwater Creek Reserve playground on the corner of the Central Coast Highway and Tuggerah Pde is fenced and shaded. It has a fun sandpit with sand moving toys, climbing equipment, swings and slippery dip. Outside the fenced area is a climbing dome, BMX bike track and Liberty Swing for wheelchair bound people. 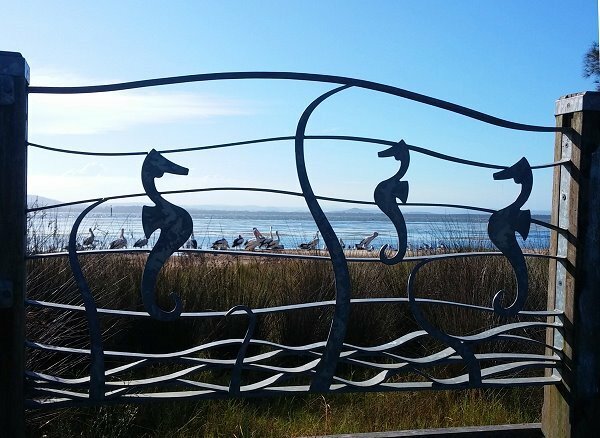 The Tuggerah Lake cycleway takes you back to The Entrance along a scenic, relatively flat bike track. Easy parking, BBQs, toilets and picnic tables are available in the reserve. Toowoon Bay has a pleasant little park with BBQs, picnic tables, toilet block, carpark and basic playground. 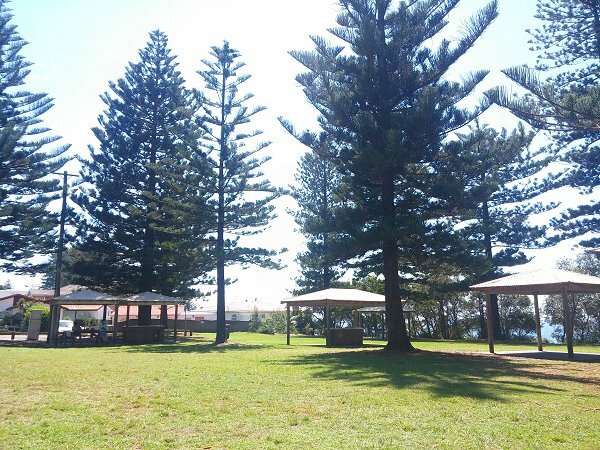 Found in Swadling Park, Bay Rd (just above the Surf Lifesaving Club), it is the perfect spot for a shady picnic under the pine trees after a day at the beach. 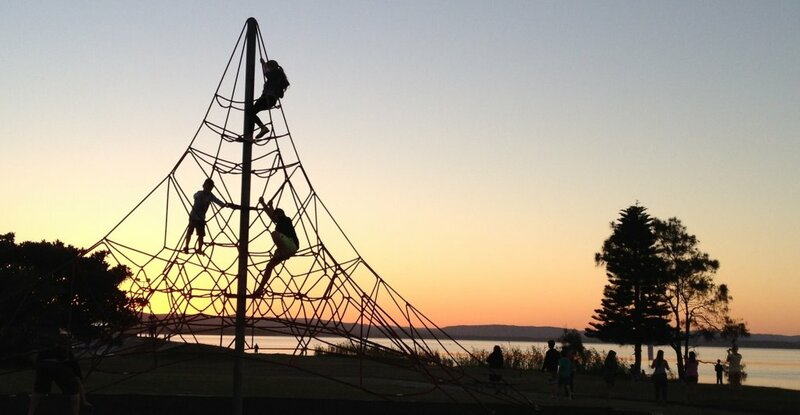 The Entrance North showcases a scenic park and playground fronting Terilbah Island on Tuggerah Lake. With a large wooden wharf for fishing, a playground, picnic tables, easy parking, toilets and lots of grassed areas to run around on, it is an enjoyable spot to spend a couple of hours. Walking north for 10 minutes will take you to the Sensory Garden – a beautifully landscaped garden filled with native trees and plants. It is designed to let vision impaired people feel, touch and smell the aromas and textures of the Australian bush. There are wheelchair friendly paths, restful seats, wooden bridges and a viewing platform overlooking the lake.